Large RARE 3 bed/3bath End unit home, shows like a MODEL. Spacious and Open floorplan, ON the Greenbelt and Across from the Park. This Unit Features 9ft ceilings, a large loft area, UPSTAIRS laundry, Huge Master with chapel ceilings, lg two car garage + full storage in crawl space. 42in cabinets/ black appliances and large pantry in kitchen, this home has it all with a low HOA. 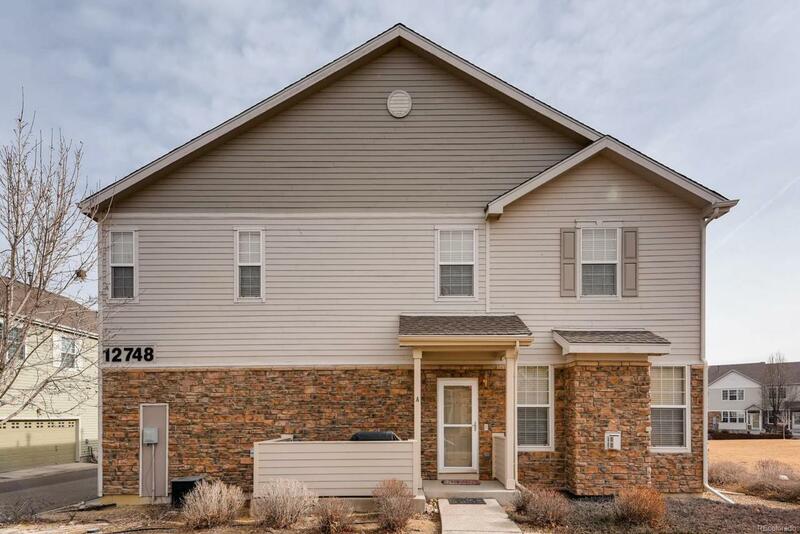 Newer carpet, fireplace, a/c and lots of light make this large Townhome the perfect home!! Lots of Space, with no Exterior Maintenance needed... Who Could Ask for More?